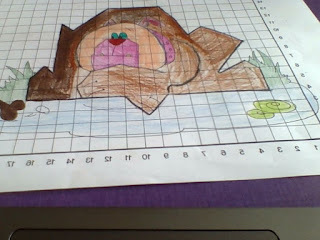 Yesterday we did maths and for maths we were using coordinates. We were given a piece of paper with coordinates and one that we used the coordinates on. The final product was a dog on the grass. I chose colors that looked like a dog in most of my piece. Magenta and I worked together.